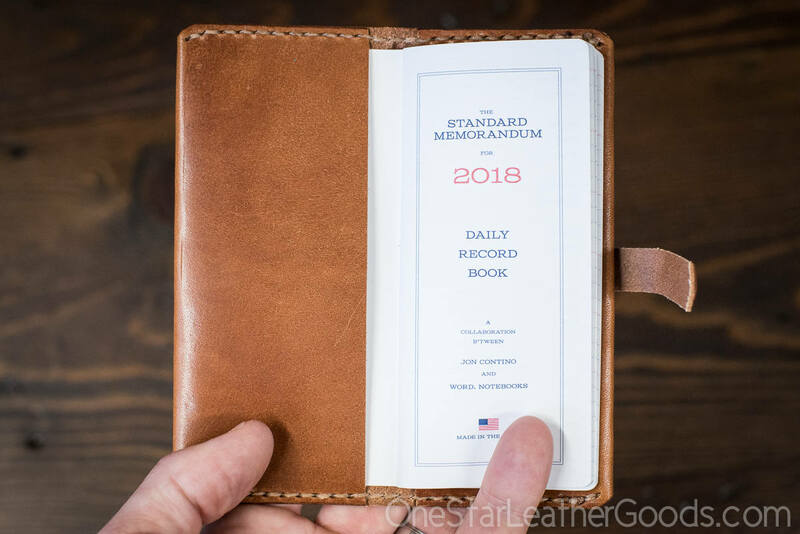 Simple leather notebook cover for "The Standard Memorandum" Daily Record Book by Word Notebooks and Jon Contino. Comes with the 2019 edition. 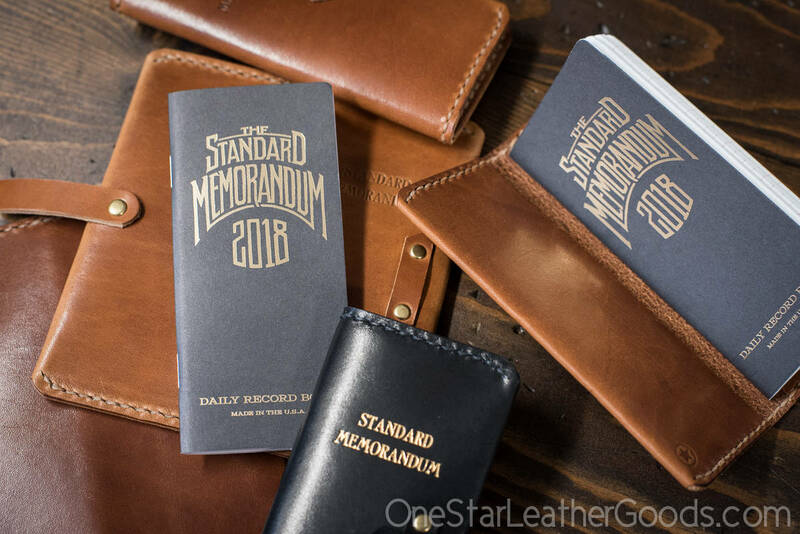 The Standard Memorandum is neat little record book / calendar designed by Jon Contino and produced by Word Notebooks. 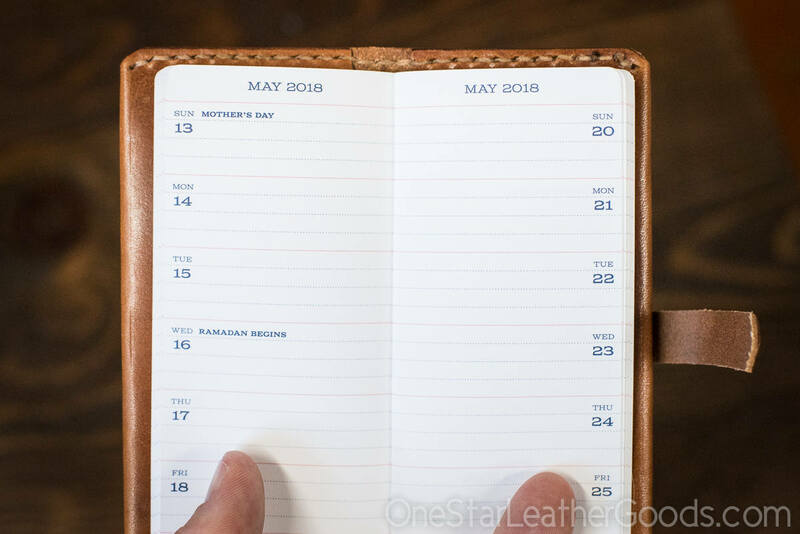 It has space for some choice words about each day and can be used for anything you like. It is well designed and each edition covers one year. 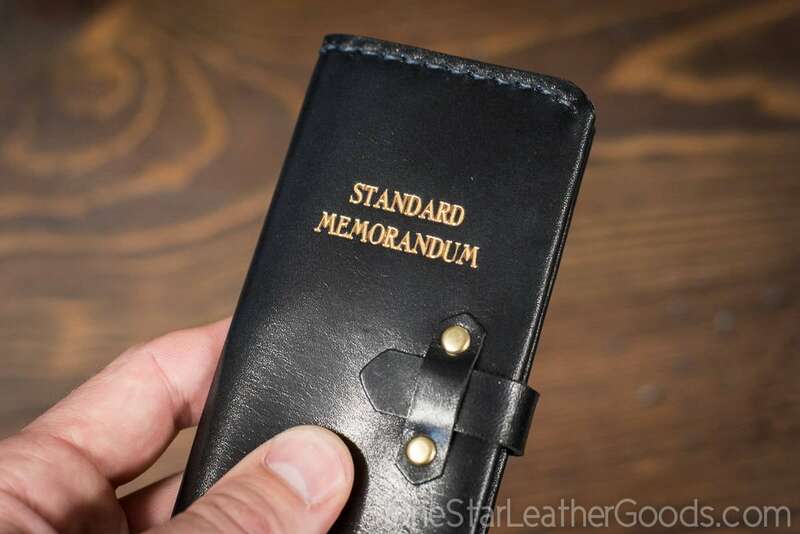 You can learn more about The Standard Memorandum and see a video at onestarleathergoods.com/tsm. Available with and without strap closure in black or chestnut. 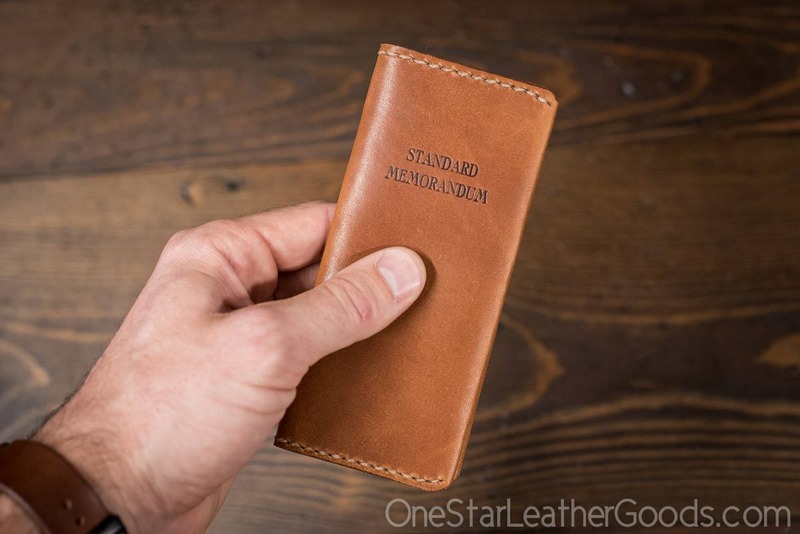 Comes with The Standard Memorandum 2019 edition. If you already have the book, let me know in the notes section of your order (final screen of checkout), and I will refund you $11. 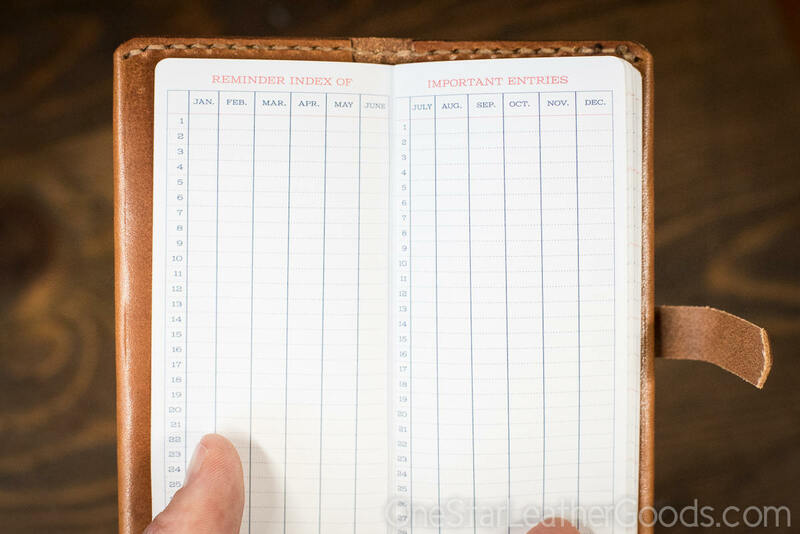 This cover will last decades, age wonderfully, and you can refill it with a new Standard Memorandum each January. I carefully hand stamp each cover with "Standard Memorandum." The black ones are stamped in 24K gold leaf. 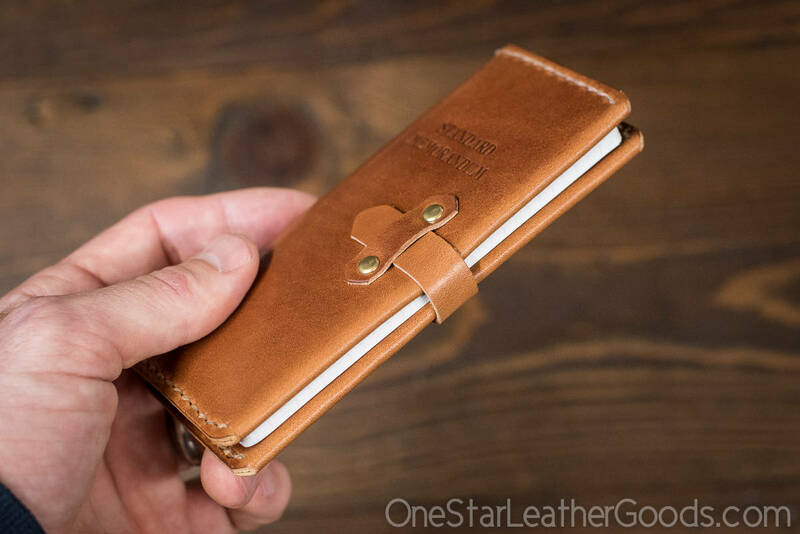 This is made from gorgeous Harness leather from Wickett & Craig tannery in Pennsylvania. Texture will vary. 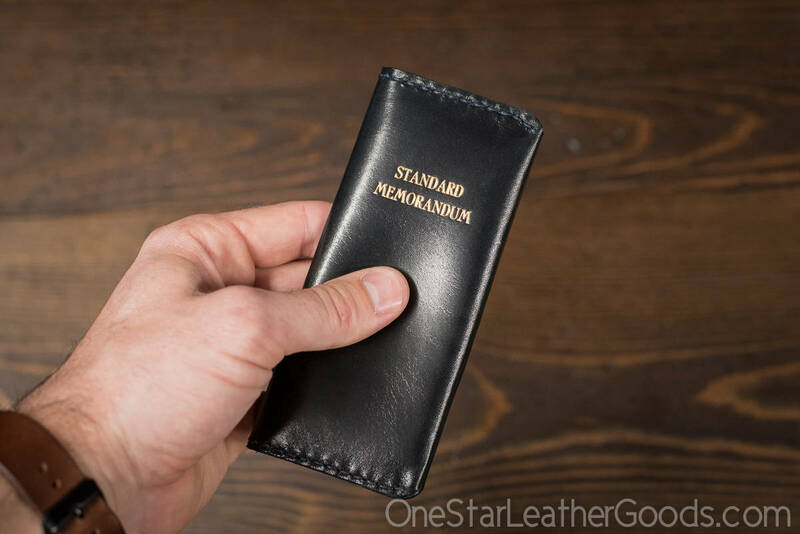 No better place to buy leather products from! Over time I’ve ordered 4 different items and all are wonderful. A. 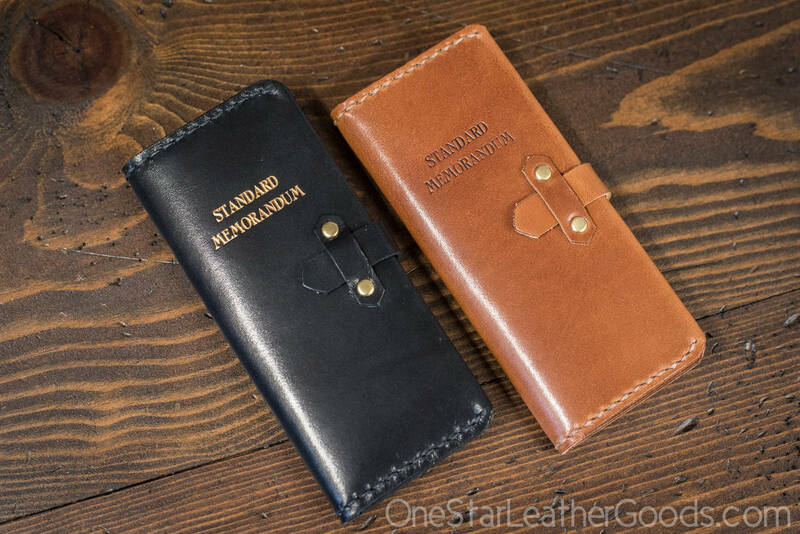 Must buy for all your leather needs. 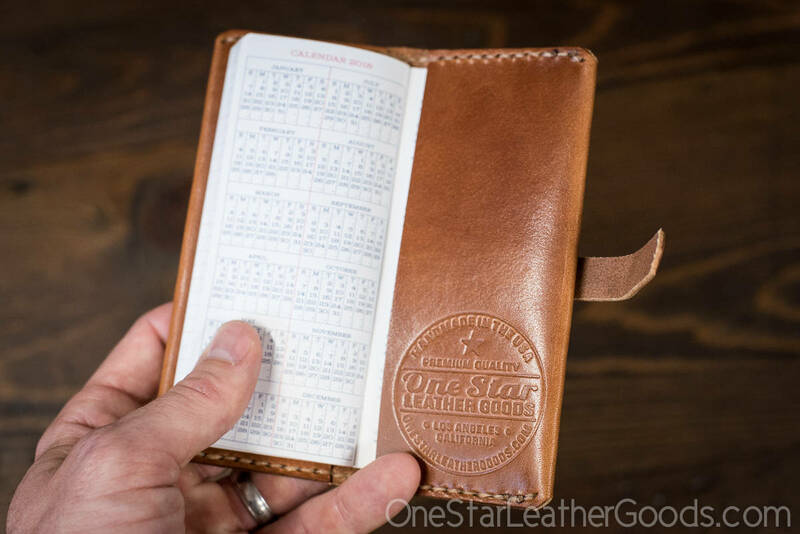 Another great leather piece from One Star.